Pete’s Dragon is a callback to an earlier era in children’s cinema, one the older millennial set will instantly recognize. In live action films like Jumanji, The Indian in the Cupboard and Hook, there was little razzle-dazzle from special effects, and yet the films’ magic was believable and the stories were compelling. Indie director David Lowery (Ain’t Them Bodies Saints) faced a difficult job with the remake of Pete’s Dragon in creating a furry green creature that audiences could care about within a fictional world that was otherwise realistic. The remake of the 1977 animated film accomplishes this by making Elliott essentially a dog in a dragon’s body: he’s curious, playful, loyal to a fault and romps around the forest like a puppy alongside his best friend Pete (Oakes Fegley). Some of Elliott’s physical characteristics are downright canine, including his triangular black nose, perky ears and soft fuzzy fur. But he can also fly. And breathe fire. Elliott’s a mix between Clifford the Dog and Falkor from The NeverEnding Story, but the characteristic with the most uncanny resemblance is his voice. It has the same effect as Chewbacca’s from Star Wars: the Wookiee’s unmistakable emotional purring that seamlessly emotes love, anger or sadness depending on the situation (and without ever having to utter a word). Elliott’s playfulness may not seem as cutesy to a generation saturated with Minions and Spongebob, but it’s a refreshing reminder that not all movies need to resort to such zaniness in order to entertain children. Pete is a young boy who, after losing his parents in a car crash, befriends the dragon, whom he names Elliott, after the dog from his favourite children’s book. 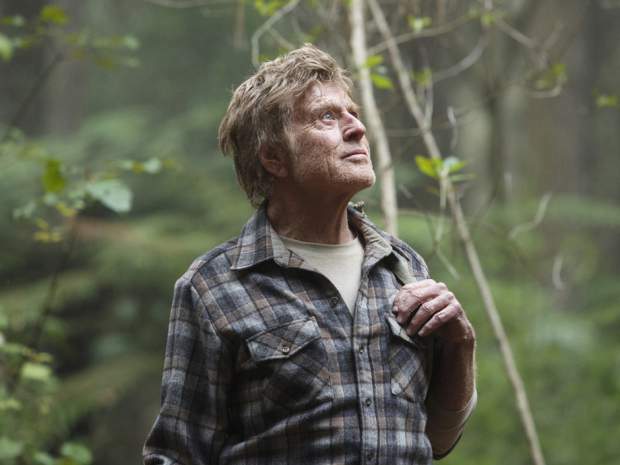 Several years later in the nearby town of Millhaven, the skeptical forest ranger Grace (Bryce Dallas Howard) warmheartedly mocks her dad (Robert Redford) about a dragon he claims to have seen many years ago. Meanwhile, her fiancée Jack (Wes Bentley) and soon-to-be step-daughter Natalie (Oona Laurence) have a serendipitous encounter with Pete. The now-feral boy and Elliott are exposed to the savagery that is human civilization, with its scary, hunting jocks (represented by Jack’s brother Gavin, played by Karl Urban), fast-moving vehicles and Social Services. Through it all, Pete must learn to trust his new companions so that they can keep him and his dragon bestie safe. The film rolls out in a fairly predictable way, although it never comes across as perfunctory or boring. It’s beautifully balanced between developing a slow-rising narrative that also takes its time to build characters, without ever veering into precious or sentimental territory. And as much as it is a tear-jerker – animal-lovers should bring tissues – the film is fun, peppered with moments where Pete and Elliott are perplexed by the strange ways of human life – one memorable scene involves Elliott’s discovery of a sprinkler system. These elements balance out any potential anxiety or sadness one might feel about this extremely special friendship between a boy and his dragon.